Great website design and application design focuses on user interaction, and serves as a platform for your brand to connect with your audience. Your website should reflect the attitude of your brand and establish you as the expert in the industry. The best web design is one that meets users’ needs and makes them take action to engage with your brand. Your website should do more than just look good: Website design should focus on directing and achieving the end goals of your customers. What are customers there to do? What do they expect from a touchpoint with your company? The answers to these and other questions drive every website design decision we make. 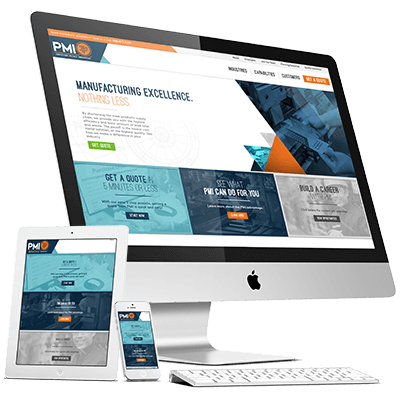 Our team can advise you on the steps to take to meet and exceed your customers’ expectations and make sure your website design properly reflects the brand. There’s no single “right way” when it comes to website design and build. Your input is critical to determine the size and scope of the project, and what makes sense for your customers and your business. Like your current website design? In some cases we can migrate sites from other platforms to WordPress and add functionality and features to the existing site without reinventing the website design from the ground up.